Xploree - Your Chance to Win a Brand New Phone! Revel in the aura and excitement of Diwali with a brand-new phone. Its time again for you to put on your thinking hats, immerse yourself in the Xploree Xperience. Rate us and share your reviews on play store and stand a chance to win a brand-new phone. 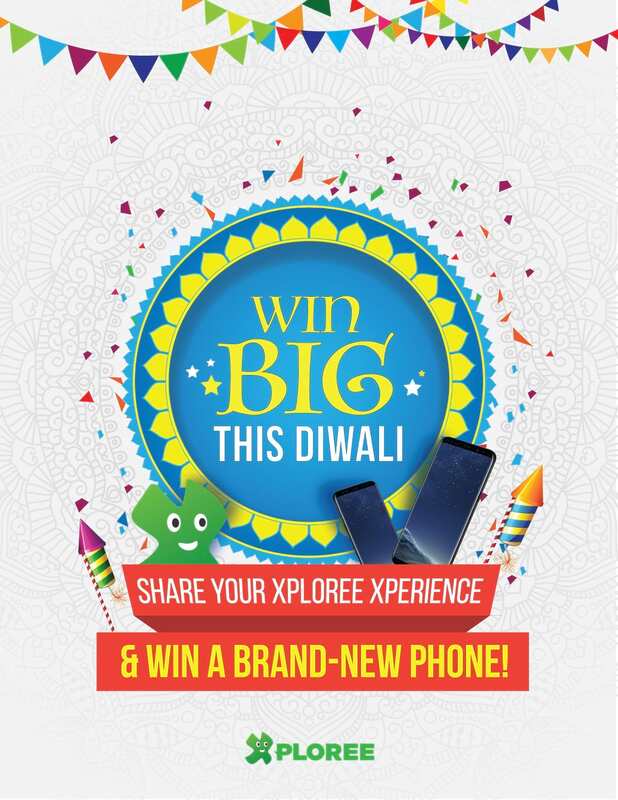 Make this Diwali, that much more special and memorable with Xploree! Participants must download the Xploree app, use its different features and then rate & review Xploree AI Keyboard on play store. Share the same screenshot on the Xploree social media(Twitter, Facebook) post and tag 3 friends with hashtag #1stAIKeyboard. 6 lucky winners will be selected at the sole discretion of the team at Xploree. Prizes for 6 participants who adhere to the above conditions. Prizes cannot be exchanged or replaced. Download World’s First AI Keyboard App here http://bit.ly/2DcKD2H to win Big this Diwali! Last date for submissions, 17th November 2018. Winners will be announced by the 21st of November 2018.